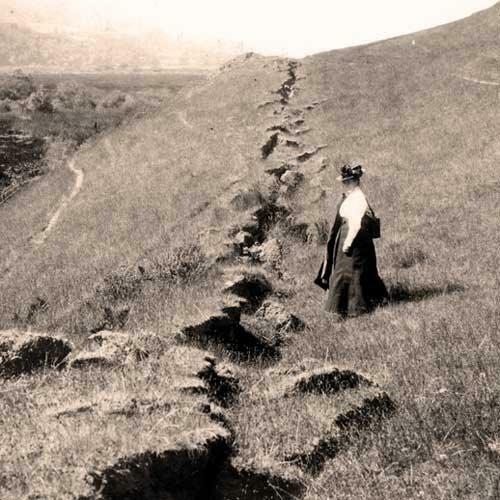 Dave is joined by USGS seismologist Ken Hudnut as they interview John Dvorak, author of Earthquake Storms: The Fascinating History and Volatile Future of the San Andreas Fault and The Last Volcano: A Man, a Romance and The Quest to Understand Nature's Most Magnificent Fury. Dave read Earthquake Storms and shared it with his friend Ken, who happened to run into the author last year during the eruptions of Kilauea on the Big Island of Hawaii. Hudnut told Dvorak about Blue Dot and that led to the wonderful and wide ranging conversation on this episode. The story of one of the greatest geologists in U.S. history, Grove Karl Gilbert, who was one of the first scientists to recognize that faults can move horizontally as well as vertically, had a love affair with the great Canadian born botanist Alice Eastwood in the latter part of his life. Eastwood heroically saved the native plant collection at the California Academy of Sciences in the fiery aftermath of the great San Francisco earthquake of 1906. Their incredible, movie worthy, love story is recounted as well as an in depth look at the role of the San Andreas Fault in the burgeoning theory of Plate Tectonics in the latter half of the 20th century.